NEW YORK -- There is a heart-warming update to a story we brought you over the weekend. 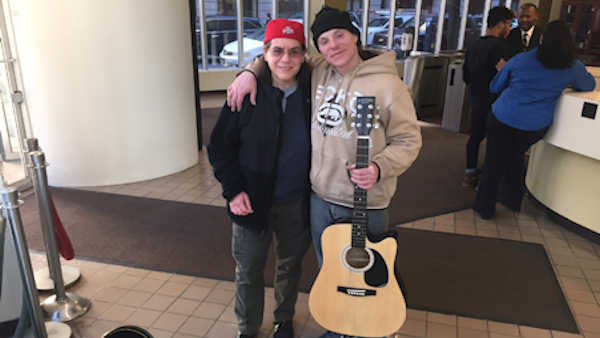 A homeless man who says he was beaten and robbed of his guitar received a new one Wednesday, thanks to the generosity of an Eyewitness News viewer. 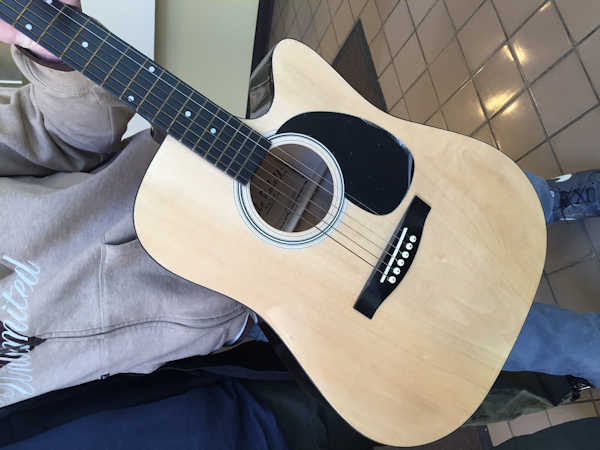 Jessica Salles contacted us and said she has a guitar she would like to give the homeless man, named Matthew. She handed him the instrument in our lobby, along with some new clothes, blankets, and a backpack. "All the people that look down on me when I'm sitting there and don't care, and then somebody steps up like this, it completely restores humanity," he said. Matthew, 39, who has been living on the street for two years, says his guitar was the only valuable possession he had. The viewer reached out to reporter Lucy Yang on Facebook, and offered to donate a guitar and some warm clothes to Matthew. However, when Lucy went back to the Midtown location where Matthew was, she could no longer find him. Matthew was eventually located, and when he heard the news he almost started crying.